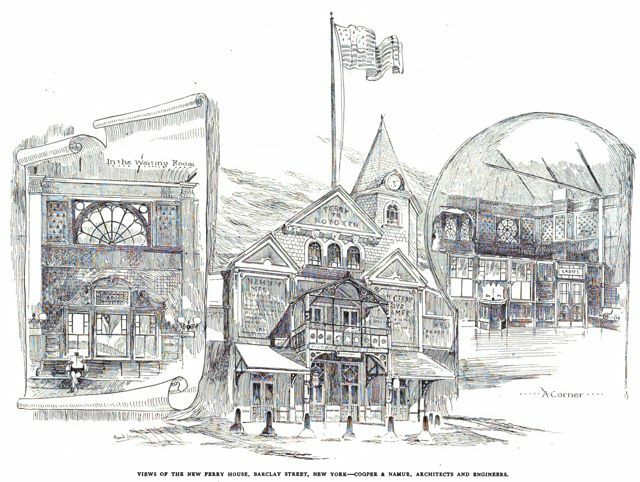 November 24, 1888: Engineering and Building Record. 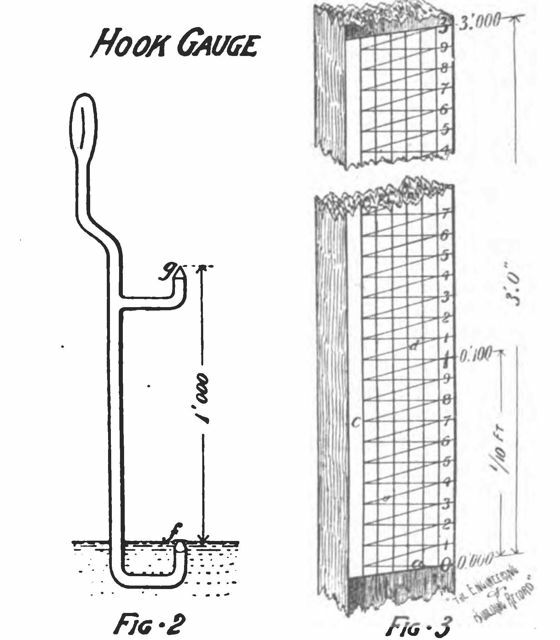 A Simple Hook Gauge to Measure Depth of Water. “The accompanying illustrations show a very simple and convenient arrangement devised and used by John T. Fanning, C. E., for determining measurements of the heights of a given water level accurately to 1-1000th of a foot. 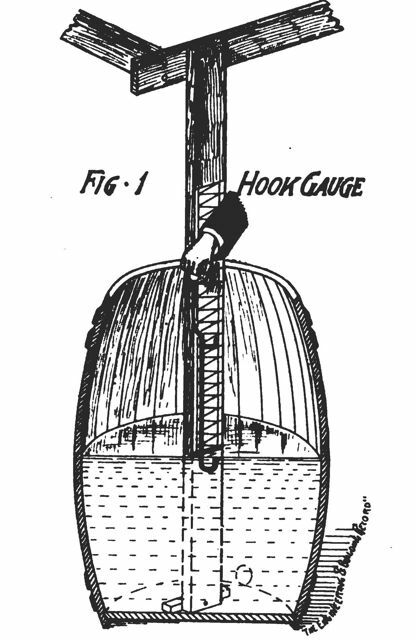 Figure 1 is a general view showing any convenient protected tank containing water in free communication with that whose level is to be determined, with the rod and gauge in position for a reading. Fig. 2 is a detail of the hook, which is made of brass wire, about No. 10 gauge, with two points f and q, and a handle offset from their plane for convenience in applying to the scale. The lowest point, f, is chisel-shaped ; the upper one, q is conical, ground to be exactly one foot away from the lower one. In reading, the lower point or hook is immersed below the surface of the water, the point q is placed against the scale, and the hook maintained vertical while it is moved upwards until the edge of point f reaches the surface when a slight convexity is produced in the water at f before it emerges and the reading indicated by q is recorded. Figure 3 is the scale, a square wooden rod planed true and having one face painted white, and a convenient length, as three feet, laid off as shown, with six vertical lines; the right-hand one is divided into tenths and hundreths of a foot, and from each of the latter points diagonals are drawn across the five left-hand lines; thee diagonals intersect on the left-hand vertical, and their intersection, with each vertical give a rise of exactly one one-thousandth of a foot above the next lower intersection. The apex or left intersection thus gives the half-a-hundredth point, and the intermediate ones the single thousandths. The scale may be set and figured so that the readings shall give exact elevations above the datum, or it may be fixed at random, and the constant difference determined and always applied…. Commentary: I have always been fascinated by complex engineering drawings from the late 19th century with their alphabetically coded notations on mechanical equipment and detailed directions on how it works. Frankly, I had a hard time following them. This one, however, is simple and actually very cool. Commentary: The line drawing of the ferry house is stunning and representative of the painstaking work done on architectural projects at the end of the 19th century. Reference: Engineering and Building Record and Sanitary Engineer. 18:26 (November 24, 1888). This entry was posted in This Day in Water History and tagged Hoboken ferry, hook gauge, water, water history on November 23, 2012 by safedrinkingwaterdotcom. November 23, 1992: First Negotiation Session of Regulatory Negotiation for the Microbial Disinfectants/Disinfection Byproducts Rule Making. 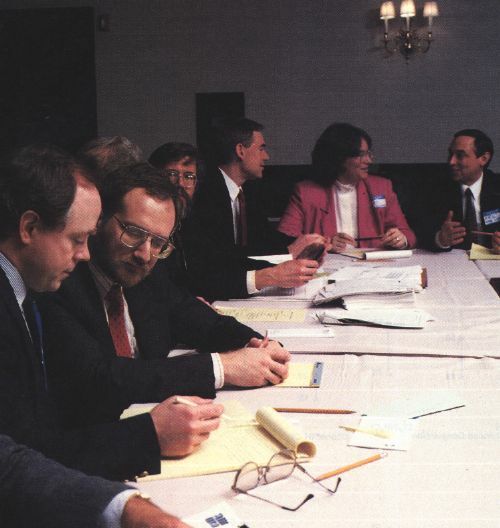 This was a multi-stakeholder regulatory negotiations process (including the USEPA) which resulted in the adoption of five landmark drinking water regulations: Interim Surface Water Treatment Rule, Stage 1 Disinfectants and Disinfection Byproducts Rule, Information Collection Rule, Long Term 2 Enhanced Surface Water Treatment Rule and Stage 2 Disinfectants and Disinfection Byproducts Rule. Roberson, J.A., Cromwell, J.E., Krasner, S.W., McGuire, M.J., Owen, D.M., Regli, S., and Summers, R.S. (1995). “The D/DBP Rule: Where did the Numbers Come From?” Jour. AWWA. 87:10, 46-57. McGuire, M.J. (1993). “Reg Neg Process and the D/DBP Rule.” presented at the Fall Conference. California‑Nevada Section, American Water Works Association. Reno, Nevada, October 28, 1993. McGuire, M.J. (1994 ). “Using the Information Superhighway to Corral the ICR.” Jour. AWWA. 86:6, 10. McGuire, M.J. (1996). “AWWA’s Information Collection Rule Activities.” presented at M/DBP Cluster Information Exchange Meeting. RESOLVE, Washington, D.C. May 10, 1996. McGuire, M.J. (1997). “Technical Work Group Presentation.” presented at the M-DBP Stakeholder Meeting. Washington, DC. January 28, 1997. This entry was posted in This Day in Water History and tagged DBP, disinfection byproducts, drinking water, information collection rule, public health, regulations, Technologies Working Group, TWG, USEPA, water, water history on November 22, 2012 by safedrinkingwaterdotcom. November 22, 1981: New York Times article. New Jersey Journal. “The 17-mile, cross-Bergen pipeline that is designed to give the Hackensack Water Company badly needed reserves from the Wanaque Reservoir has hit a new snag. Two towns along the route, Ridgewood and neighboring Midland Park, do not want their residential streets torn up for the pipeline. Alternative routes are being explored, but it is uncertain now whether agreements can be reached without disrupting the company’s plans to lay the pipes next spring and summer. The entire water-transfer project – once called Two Bridges and now known as Wanaque South -has encountered delays and pitfalls since Hackensack Water first proposed it in the mid-1970’s. First, hearings dragged on for months before the state gave its final approval. Next, Paterson sued to halt the project, saying that use of water from the Passaic River would dry up Paterson’s Great Falls. The State Supreme Court threw out the suit last October as the 1980 water shortage was deepening. Then Hackensack Water said that it did not have the money to build the pipeline and the pumping stations needed to draw water from the Passaic River and pump it north into the Wanaque Reservoir for storage. As a result, the state granted Hackensack a 47 percent rate increase to overcome the financial difficulty. Throughout the water shortage last fall and winter, Hackensack Water contended that the crisis would not have developed if the state hearings had not dragged on and Paterson had not held up the project for months. During the delays, negotiations with the two towns about the pipeline route were apparently nonexistent. The legal and financial problems were thought to have been the final obstacles. Why wasn’t the route question resolved earlier so that work on what the state calls its most crucial new water-supply project could begin forthwith? ”It would have been imprudent to be spending a lot of money on engineering studies without a final approval from the state in our hands,” said Martha Green, a spokesman for Hackensack Water. The disputed Midland Park-Ridgewood portion is 3.5 miles. The towns, neither of which is served by Hackensack Water, can block the pipeline by denying the company permits to dig up local streets. Four miles of pipeline are to pass through Paramus and Oradell, both customers of Hackensack Water, and because the utility has the water-sales franchise for them, it does not need the same street digging permit that it requires from Midland Park and Ridgewood. Neither Paramus nor Oradell has voiced objections. Commentary: No one said that improving infrastructure would be easy. Something as straightforward as building a needed pipeline is certain to bring out the “Not in My Backyard” crowd. The good news is that an article in 1985 forecast that the pipeline would be completed by 1987. Another article in 1985 stated that the incremental project has already been a huge win for northern New Jersey. This entry was posted in This Day in Water History and tagged drinking water, Hackensack Water Company, New Jersey, pipeline, Wanaque Reservoir, water, water history on November 22, 2012 by safedrinkingwaterdotcom. While much is known about Hobart’s role as vice president, his role in the formation of private water companies and his support of these companies through legislation is less well known. Hobart was elected to the New Jersey Assembly and Senate during the early part of his career. During the 1870s and 1880s there was a lot of legislative activity that appeared to be for the benefit of private water companies. 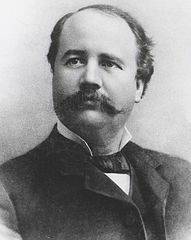 In 1881, one bill that was introduced by Garret A. Hobart, then a state senator, was designed to give private water companies the power to acquire and distribute water resources independent of municipal or state control. While not explicitly stated, the bill purportedly had a single intention of giving one company, the Passaic Water Company, more power to access water supplies to prevent water shortages at the factories of Paterson which were forced to idle production in the summer season. Hobart was a resident of Paterson, New Jersey for most of his life. In 1885, Garret A. Hobart joined the Board of the Passaic Water Company and two years later was elected President of the Company. Hobart was described in one source as representing a syndicate of New York capitalists. (Nelson and Shriner 1920) The company had been supplying Paterson and the surrounding area since 1857. The East Jersey Water Company was formed on August 1, 1889 for the stated purpose of supplying Newark, New Jersey with a safe water supply. All of the men who were shareholders of the new company (including Hobart) were identified with the Lehigh Valley Railroad Company. (New York Times, August 2, 1889) However, the company’s vision extended far beyond a water supply for Newark. The company began as a confidential syndicate composed of businessmen who were interested in executing grand plans for water supply in northern New Jersey and New York City. (Colby and Peck 1900) Nothing came of these grand plans. Colby, Frank M. and Harry T. Peck eds. The International Year Book—A Compendium of the World’s Progress During the Year 1899. n.p. :Dodd, Mead and Co., 1900. Nelson, William and Charles A. Shriner. History of Paterson and Its Environs. Vol. 2, New York:Lewis Historical Publishing Company, 1920. New York Times. “Jersey’s Water Supplies—Senator Hobart’s Bill and Its Effect.” March 7, 1881. New York Times. “New Jersey’s Law Makers—Mr. Hobart’s Water Bill Killed.” March 22, 1881. New York Times. “To Give Newark Water.” August 2, 1889. November 21, 2006: PFOA Contaminates Drinking Water. “On November 21, 2006, the USEPA ordered DuPont company to offer alternative drinking water or treatment for public or private water users living near DuPont’s Washington Works plant in West Virginia (and in Ohio), if the level of PFOA detected in drinking water is equal to or greater than 0.5 parts per billion. This measure sharply lowered the previous action level of 150 parts per billion that was established in March 2002. Perfluorooctanoic acid (PFOA), also known as C8 and perfluorooctanoate, is a synthetic, stable perfluorinated carboxylic acid and fluorosurfactant. One industrial application is as a surfactant in the emulsion polymerization of fluoropolymers. 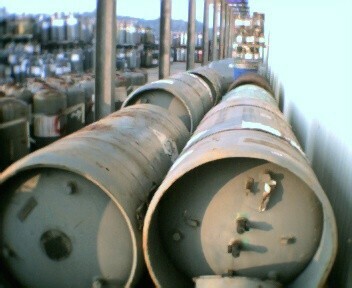 It has been used in the manufacture of such prominent consumer goods as Teflon and Gore-Tex. PFOA has been manufactured since the 1940s in industrial quantities. It is also formed by the degradation of precursors such as some fluorotelomers. This entry was posted in This Day in Water History and tagged drinking water, Dupont, Garret A. Hobart, groundwater contamination, John L. Leal, New Jersey, Paterson, PFOA, public health, The Chlorine Revolution, water, water supply on November 20, 2012 by safedrinkingwaterdotcom. November 20, 1983: New York Times headline—Pesticide Reported in More Wells in Florida. “Evidence is increasing that a pesticide banned in September by the Federal Government because it is a cancer- causing agent is invading the underground drinking water reservoirs of Florida. Since July, when Florida state chemists began testing drinking water wells for ethylene dibromide, known as EDB, an average of 20 percent of the wells sampled have been found to contain more than the level Florida health officials consider safe, one part of the chemical for every 10 billion parts of water. Until last week, testing had been confined to areas near 422 acres of ”buffer zones” along citrus groves where large amounts of the pesticide were injected to block the spread of root worms, which are burrowing nematodes. The doses, more than three times the amount prescribed by Environmental Protection Agency, were applied by the State Department of Agriculture and Consumer Services, which regulates pesticide use in Florida. But state agriculture officials said 10 times more land in Florida’s citrus area had been treated with big doses of the pesticide than they had first reported. 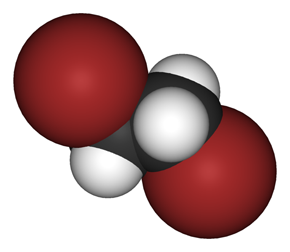 This entry was posted in This Day in Water History and tagged drinking water, EDB, ethylene dibromide, Florida, groundwater, groundwater contamination, water, water history on November 20, 2012 by safedrinkingwaterdotcom. Wisconsin Wastewater Operator Short Course Attendees 1937. November 19, 1914: Operation of Sewage Disposal Plants. By Francis E. Daniels. “A man in charge of a sewage disposal plant should know what each unit of his works is doing every day. A skilled observer may detect faults and short-comings with some degree of certainty by mere inspection; and if the output is bad and a heavy pollution is occurring or a local nuisance is resulting, it is not at all difficult to recognize the trouble. If the break-down has been sudden and due to a wash-out, a broken bed or wall or some other equally obvious cause, an expert is not needed to diagnose the case. But suppose the output of a plant or of some of its units is gradually falling below the requirements. In that case the gradual decline cannot be detected by observation and in order that one may know what is actually happening, tests are made….Careful attention paid to tank effluents will delay for years the expenditure of thousands of dollars for the removal, washing and replacing of the stone in contact beds. Poor effluents discharged upon sand beds cause clogging quickly, which results in undue expense for frequent cleaning and often the sand filter effluent is seriously impaired. Commentary: Of course, no mention is made the consequences of violating an NPDES permit or other regulation governing the quality of the effluent. Also, it gets tiresome to read these old articles that are directed to “men” when we now have a substantial number of women operators. 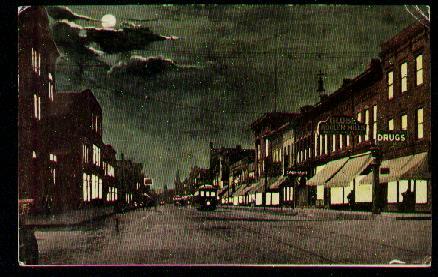 Main Street at Night, Racine, WI 1914. November 19, 1914: Sanitary Policy for Racine. “The city of Racine, Wis., over a year ago employed John W. Alvord to recommend to it a policy to be followed in connection with its sewerage and water supply. The study of the problem, in which Mr. Alvord was assisted by Edward Bartow, director of the Illinois State Water Survey, occupied most of the year 1913, and a report has recently been made to the city giving the method and results of the investigation and the recommendations of the consulting engineer. The report outlined six different policies, either of which might be pursued, but one of which was recommended….The problems at Racine are common to many lake cities which are similarly situated at the mouth of a river and which draw their water supplies from inlets in the lake. Investigation disclosed that the water supply, which is drawn from the Jake, is threatened and occasionally polluted by the sewage from the city which is discharged into Root river, which in turn discharges in to the lake. Pollution was found to exist for about two and a half miles from the shore, although the distance is variable, depending upon the influence of winds, lake drift, the volume of flow in the river and the effect of severe storms. Commentary: Racine found itself entangled in the Sewer Pipe, Water Pipe Death Spiral that I have described in my book The Chlorine Revolution to be published in the spring of 2013. Chicago found itself with the exact same problems and solved them in part by chlorinating their water supply to break the Death Spiral. It appears that Mr. Alvord recommended a vast change in the way Racine conducted the business of sanitation—build an intercepting sewer, a sewage disposal plant and a water filtration plant. I am in favor of Mr. Alvord’s multi-barrier approach to public health protection. Daniels, Francis E. 1914. “Operation of Sewage Disposal Plants.” Municipal Journal. 38:21, November 19, 1914, 735. “Sanitary Policy for Racine.” 1914. Municipal Journal. 38:21, November 19, 1914, 740. This entry was posted in This Day in Water History and tagged drinking water, John W. Alvord, public health, Racine, sewage, sewage treatment, Standard Methods, The Chlorine Revolution, water on November 19, 2012 by safedrinkingwaterdotcom. November 18, 1995: New York Times headline—Watershed Pact Safeguards Drinking Water. 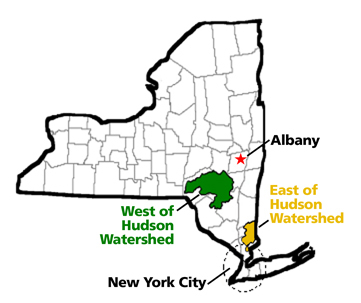 “To the Editor: While according deserved praise on the historic agreement to protect New York City’s drinking water, Eric A. Goldstein (letter, Nov. 10) asserts that “the agreement lacks concrete commitments needed to prevent further pollution.” As one of Mayor Rudolph W. Giuliani’s negotiators, let me assure your readers that the watershed agreement contains commitments that will protect drinking water quality into the next century. 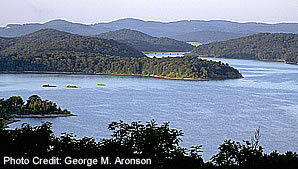 The pact contains three principal elements: acquisition of sensitive watershed lands to buffer the water supply, revision of the city’s regulations governing activities in the watershed that affect water quality and partnership programs with upstate communities that will insure that any growth near the water supply will be consistent with drinking water quality needs. This entry was posted in This Day in Water History and tagged drinking water, New York City, ocean pollution, public health, sewage, sludge, water, watershed protection on November 18, 2012 by safedrinkingwaterdotcom.